Skyway Tuffpedal kicker for the '67 Ironhead. I don't like the reproduction "copper" kickerpedals so I'm going to make a new one from an old Skyway BMX Tuff pedal. Probably worth more than the repro but I only had one, have two new gold Skyway cages, might use one of them or make the red cage polished silver. 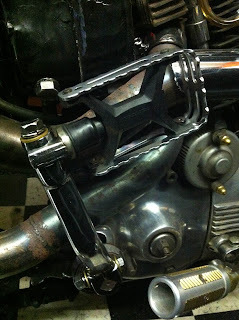 Old original H-D peg cut of to use the end going into the kicker arm. 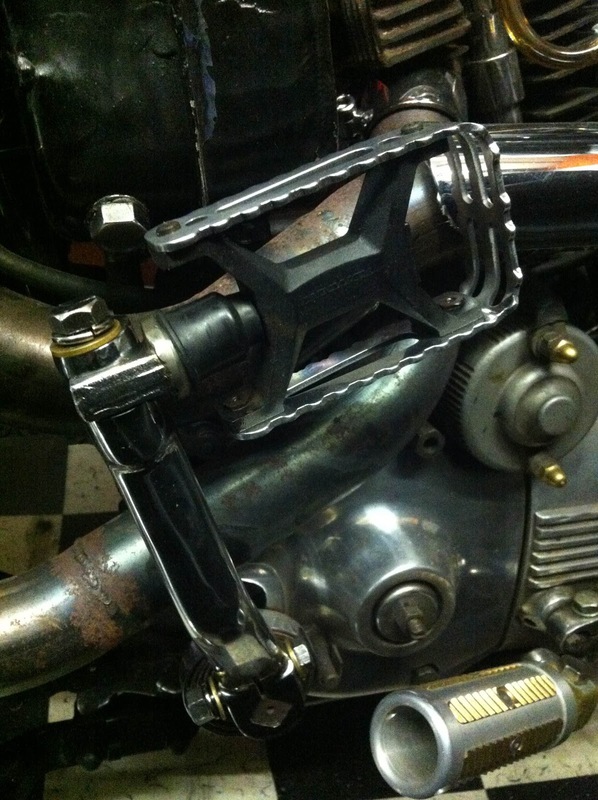 Old SKYWAY BMX Tuffpedal, axle tread cut of to weld on H-D peg. This is the result of an hour work, cage will be silver polished soon. Hope it won't break, welds were terrible, but I can always use the electric starter hahaha. Goud zijn de bergen die ze allemaal beloven. Jij ook de groenten thuis.